This is a pizza shop and general store combination. The general store sells staple items like milk, eggs, bread, snack foods, cigarettes, and other household supplies. The pizza shop sells pizza, subs, wings, and breadsticks. The business is located in a small town about 30 miles West of Indianapolis. 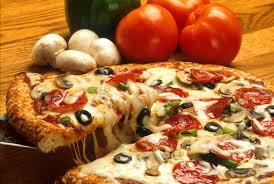 There are very dining options for the residents and they are loyal to this pizza shop. The revenue has been very steady and about 55% comes from the pizza shop and 45% from the general store. Facilities: The real estate is owned by the sellers and can be leased or purchased at appraised value.